Amid mounting cases of swine flu in Delhi, the Lok Nayak Jayaprakash (LNJP) Hospital on Wednesday said it has “adequate stock” of medicines for the disease, and the facility can “loan” it to other hospitals as well. The LNJP Hospital is the biggest hospital run under the Delhi government, where five cases of H1N1 infections have been reported, a senior official said. “We have adequate stock of medicine and H95 masks at our hospital. We get it from a central facility, and other hospitals need to apply there to get medicines. If other city hospitals are in urgent need of it, then LNJP can also loan it to them,” the official told news agency PTI. 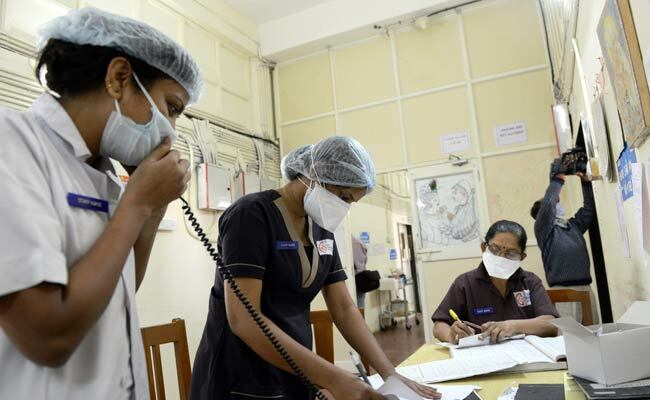 The number of deaths due to swine flu in Delhi has risen to six, even as 74 fresh cases of the H1N1 virus were recorded in the capital on Wednesday, according to a report of the Directorate General of Health Services. The total number of people affected by the disease in Delhi this year stands at 1,093, the report stated. After holding a state-level review meeting on H1N1, the Delhi government recently had said all government hospitals in the capital were equipped with necessary logistics required for the management of the disease and drug Oseltamivir along with personal protective equipment (PPE kits) and N95 masks are also available. Family members of some of the patients, however, said, Oseltamivir was not readily available at their local pharmacies. Asim Kamal, who lives in Okhla in south Delhi, said his five-year-old daughter had recently contracted swine flu, but sourcing medicines was difficult”. “My wife had to run to several pharmacies in south Delhi, and only one had the Oseltamivir drug. And, she had shown the prescription as well,” he said. Till Monday, the Delhi government had not reported any deaths due to the flu, but it recorded one death of a Delhi resident on Tuesday.